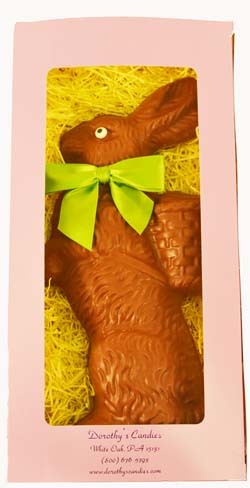 This semi-solid chocolate rabbit is carrying his pack and ready to visit your house! Boxed in a lavender box, and ready for gifting. Dimensions: 6" x 12 1/2" x 3 1/4"